Enter app package name in the "Google Play Package Name". Enter the CN1 activity name in the class name, which is: full class name + "Stub". 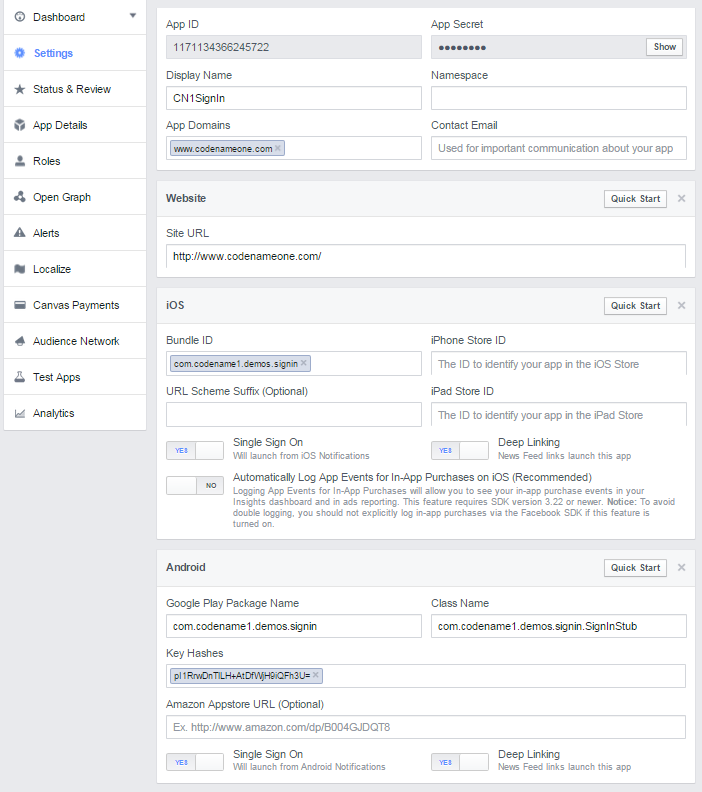 This will print out the key hash of your app, copy it and place it in the facebook settings for android. Enter app package name in the "Bundle ID". Enter the iPhone Store ID, once you know it. //These are used for the Oauth2 web login process on the Simulator.